What comes next in each of these sequences? 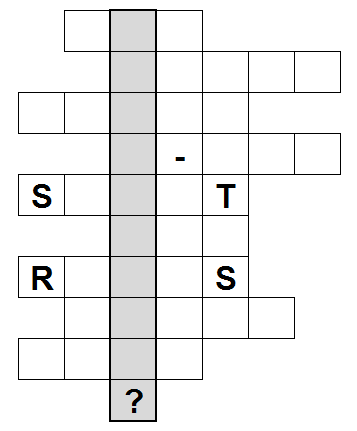 Fill out your answers in the grid below and observe the final sequence in the highlighted cells. Find the missing letter, but make sure you take it one step at a time. This is the roman numeral for n under the rot-n cipher. The next member of the sequence is CPP. B (found by Daphne B). These are the nth letters of the noble gases. The next letters are UNTNN. C (found by Betty Crokker). The name of actors who have played James Bond, in a chronological order (David Niven missing), encoded with a keyword cipher, where the keyword is BOND. The next one is CRAIG encoded: NRBGE. These clue letters of the NATO Phonetic Alphabet (Alpha, Bravo, Charlie...). The only five-letter clue for "golf" that starts with S and ends with T is SPORT. These are all female animal names: the "regular" names of them are horse, goat, monkey, rooster, and dog. Those are animals in the Chinese zodiac; the next animal is a pig, whose female form is a SOW. These are all things that can be preceded or followed by the planets, in order. The next is RINGS (for the rings of Saturn). These are capitals of countries that have vehicle registration codes of A-E. The of the country with registration code of F is PARIS. 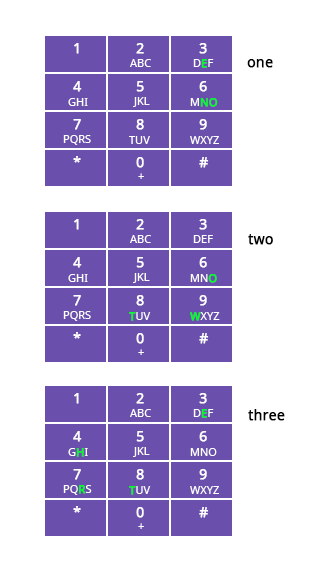 These are Atbash-enciphered playing card values in descending order; the next is ULFI. These are the letters of a QWERTY keyboard rotated backward 1-10 steps (one step at a time); Q>P, W>V>U, E>D>C>B, and so on. The solution therefore is F, or PUBNOSNAFF. A good case could be made for P, though; going back the number on the key directly above the letter key, but that was not the originally intended solution. 4. is likely to be a number-based sequence as well. spelling out several chemical elements. This can be seen if the words are written vertically. ONE, TWO, THREE, FOUR, FIVE, SIX as read on the phone keypad, following directions. For ONE, start at key 6 (letter "O"), stay where you are (key 6, letter "N"), move N (key 3, letter "E"). For THREE, start at key 8 (letter "T"), move NW (key 4, letter "H"), move S (key 7, letter "R"), move NE (key 3, letter "E"), stay where you are (key 3, letter "E"). F. Rotating each letter "one step" more more than the previous gives QWERTYUIOP. So (P, U, B, N, O, S, N, A, F, F) + (1, 2, 3, 4, 5, 6, 7, 8, 9, 10) = (Q, W, E, R, T, Y, U, I, O, P). An argument could be made for "P" though, because of the use of the keyboard. C-N = 0 (nothing minus 0) E-N = 90 (90 minus 0) NW-S-NE = 315-180-45 or 90; or, difference between each vertice is 135 S-SW-W = 180-225-270 or -315; or, difference between each vertice is 45. WSW-SE-NNW = 247.5-135-337.5 or -225; difference is not consistent. So perhaps, the next one is something that has a difference of 247.5? That pattern doesn't perfectly hold, though, only for a couple of the directions. Not the answer you're looking for? Browse other questions tagged cipher pattern trivia knowledge or ask your own question. No. 3: What's the next in this letter sequence? No. 4: What's the next in this letter sequence?